Figure 1. Shut Downs and Parks. 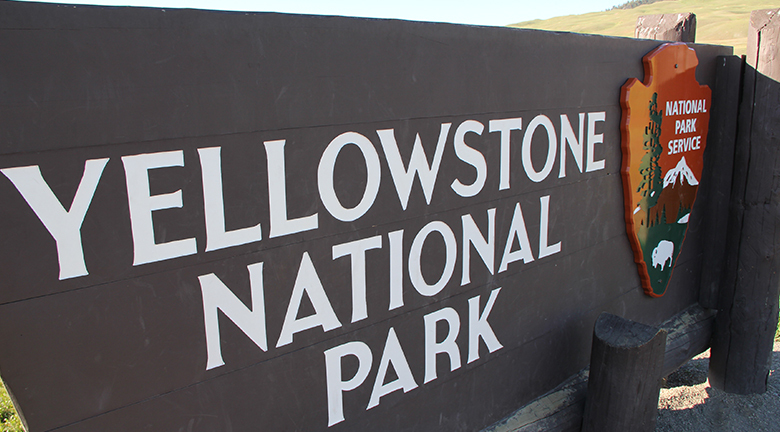 Yellowstone National Park is one of the many national parks forced to close down during the government shut down in October 2013. (Credit: modification of work by daveynin, CC BY). Imagine you had trekked all the way to see Yellowstone National Park in the beautiful month of October 2013, only to find it… closed. Closed! Why? For two weeks in October 2013, the U.S. federal government shut down. Many federal services, like the national parks, closed and 800,000 federal employees were furloughed. Tourists were shocked and so was the rest of the world: congress and the president could not agree on a budget. Inside the Capitol, republicans and democrats argued about spending priorities and whether to increase the national debt limit. Each year’s budget, which is over $3 trillion of spending, must be approved by Congress and signed by the President. Tied to the budget debate was the issue of increasing the debt ceiling—how high the national debt of the U.S. government can be. The House of Representatives refused to sign on to the bills to fund the government unless they included provisions to stop or change the Affordable Health Care Act (more colloquially known as Obamacare). As the days ticked by, the United States came very close to defaulting on its debt. Another shorter government shutdown occurred more recently in January 2018, as legislators debated the budget alongside things like immigration and the Deferred Action for Childhood Arrivals (DACA) policy. Why does the federal budget create such intense debates? What would happen if the United States actually defaulted on its debt? In this section, you will take a look at where the government obtains its revenue and how the money is spent, so that we can better understand the entire federal budget and fiscal policy.